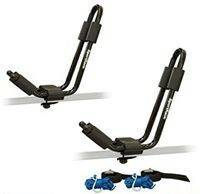 SportRack SR5511 Mooring Kayak J-Style Roof Carriers , Truck & Car Racks from Proline: Thule Racks, Yakima Ski Racks, Bike Racks Canoe and Kayak Racks Cargo Carriers and Truck accessories. SportRack SR5511 J-Style kayak carriers racks. Car roof rack attachment carries 1 kayak.